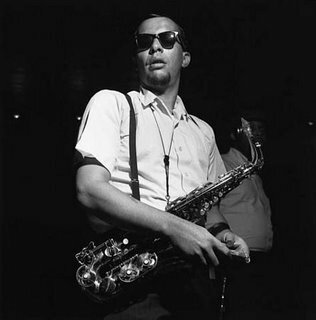 Remembering the saxophonist Jackie McLean. "The cry of jazz" is one of those clichéd phrases firmly rooted in the fact of a certain kind of sound. It almost always refers to saxophone players, although trumpets and trombones were once known as "singing" or "talking horns" because rubber plungers and mutes were used to better their imitation of the human voice. Saxophone players, however, use nothing but the brass-bodied reed instrument itself, expressing their battle with the limitations of life through two things—timbres that tailor the notes with vocal inflections and rhythms that imply speech or song. In the hands of an artist, those techniques can delineate the minuscule or vast distances between joy and pain. Such musicians are often known for the stubborn delivery of frail dreams and the fierce rhythm with which they play. Now and again they evoke no particular emotion, only an earnest refusal to be run down by life that translates as heroic. The alto saxophonist Jackie McLean, who died last Friday at 73 in Hartford, Conn., was one of those players. A hero to his listeners, McLean had an unapologetic New York sound that embodied the hard sorrow of urban life, but answered it with the triumphal dance of swing. His jazz audience would fill the clubs, but he was not a well-known commodity. The essence of jazz is symbolized by players like him who are neither epic innovators nor pace-setters (very few are, regardless of the hype). Early on, McLean attained one of the highest achievements of a jazz musician: He found his own sound on the alto. This separated him from his fellow imitators of Charlie Parker. McLean's immediately recognizable tone was displayed in many indelible situations over more than five decades of recording. Born in 1931, John Lenwood McLean came up in a time when jazz ceased to be a dance music. With the arrival of the World War II bebop generation, musicians collided with the entertainment conventions that were wrapped up in minstrelsy. McLean grew up in Harlem and was one of the Sugar Hill boys, a group of musicians that included Sonny Rollins, Kenny Drew, and Arthur Taylor, all of whom became drug addicts by the time they left high school. "I remember," McLean said, "right after the war everybody was trying to be hip, which meant being rebellious with a super cool style of awareness. Shooting heroin was considered a form of hipness and being aware. Now young musicians, thank God, think it's corny to be a dope fiend." With few exceptions, most of the bebop generations had drug problems because so many of the men they admired, like Charlie Parker, were addicts. For McLean, Parker was an early hero, influence, and model. "Bird was always an extremely aware person, and no matter what he did in order to handle his addiction and his appetites, he had great dignity. His discipline was shown in the way he played his horn." McLean came up fast. He studied chords with Bud Powell, the major influence on bebop piano, played jobs with his buddies, and, when he had the nerve, sat in with Charlie Parker. "When I sat in with Bird, it was not so much to play but to be up there on the bandstand where I could listen to him as closely as possible. Every time he played was a lesson. You could learn how to develop a melody, how to negotiate some harmony, and how to phrase. Bird was an academy of excellence. Just listening, you could hear the artistry of the horn and that artistry could make you aware of something beyond everything you knew. Not just music. Whatever creation means on the deepest level is what Charlie Parker had to offer." During the early '50s, McLean went to North Carolina, where he lived with relatives for a year and was able to clean up his drug habit. While living the country life, he got a deep, down-home soaking on jobs where the saxophonist literally walked the bar and played the blues all night. That Southern sound of blues is one of the most distinctive aspects of McLean's style and remained in place throughout all his artistic evolutions. By the middle '50s, McLean was rising to prominence among the men of his generation. He made hard-swinging records with drummer Art Blakey and innovative ones with Charles Mingus. His richest period of recording was in the late '50s and '60s. Most of his best work was captured on Blue Note, where he led exemplary sessions of unapologetic New York swing and was later to successfully experiment in the wake of John Coltrane and Ornette Coleman. "Coltrane taught me something about determination when I watched him kick the habit in public," McLean once recalled. "He made the decision and came to work looking like a mess. He wasn't shaving or combing his hair; his suit was all wrinkled up, the collar of his shirt turning brown. That's how he had to do it. He wouldn't accept even a little bit of dope to help him get through. No. There he was playing his heart out every night. He wasn't hiding, he didn't disappear. We all saw it. By the end of the gig, he started combing his hair and shaving and looked like a new man. He had conquered himself." McLean made many excellent records before leaving New York in 1970 and dedicating a part of his life to education. Those recordings prove him a timeless original who could put his own flavor on bebop and the modal developments that followed. Much of this was the result of McLean's bittersweet melodic imagination, his blowtorch tone, and the palpable daring that underlay his intense rhythmic drive. Examples include New Soil; Swing, Swang, Swinging; Jackie's Bag; A Fickle Sonance; Let Freedom Ring; Destination Out; and One Step Beyond. At the University of Hartford, he started what eventually became the Jackie McLean Institute of Jazz. And he considered the Artists Collective, a sizable community center that offers an alternative to the pitfalls of the streets through the teaching of the arts, his finest achievement outside of music. He and his wife, Dolly, conceived it, led the fund-raising drive, and saw it built. All the dues had been paid off because McLean remained a superb player throughout his career and made a solid offering to his community through the teaching of aesthetic discipline. McLean will be missed and remembered as an artist, an educator, and a community leader dedicated to leaving monuments rather than hot air. He always believed in deeds achieved with heat, discipline, humility, and compassion. He embodied the best jazz has to offer. Photograph of Jackie McLean by Francis Wolff© Mosaic Images/Corbis.